Welcome, readers. My special guest today is writer Patrick A. Roland. He’s chatting with me about his memoir, Unpacked Sparkle. Patrick A. Roland is an award-winning journalist, author, and editor with 21 years of mainstream media, specialty publication, corporate and public relations experience. 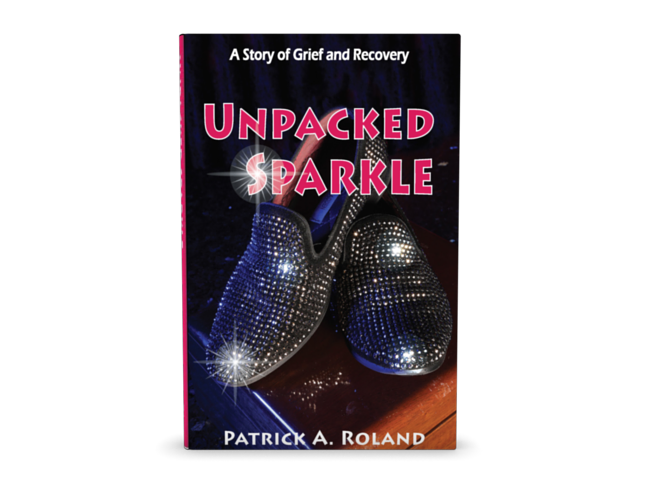 Unpacked Sparkle chronicles Patrick Roland's transformative journey upon finding his partner Pack dead in January 2014. It begins on the day of the funeral that he was uninvited to by Pack's homophobic family and details the nearly two-year journey back to a now thriving, joy-filled life he experienced as a result. It discusses addiction and the recovery from it, grief and the journey to acceptance that ensued, the family dynamics and DNA that resulted in a live-saving bi-polar diagnosis, and the importance of civil rights and marriage equality. This miraculous journey is threaded together by a tapestry of amazing friends who helped him find his way back to happiness, where he remains putting his hand out to others in search of their own sparkle. The author hopes that by sharing his experience and strength with readers, they will find hope. He believes everyone deserves to sparkle. Let's take this journey together so you can unpack yours. For more information, visit www.unpackedsparkle.com. 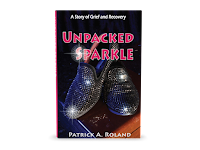 To reach the author, write patrick@unpackedsparkle.com. Welcome, Patrick. Please tell us about your current release. Unpacked Sparkle documents the nearly 2-year period after I found my partner dead in our home one January morning in 2014. 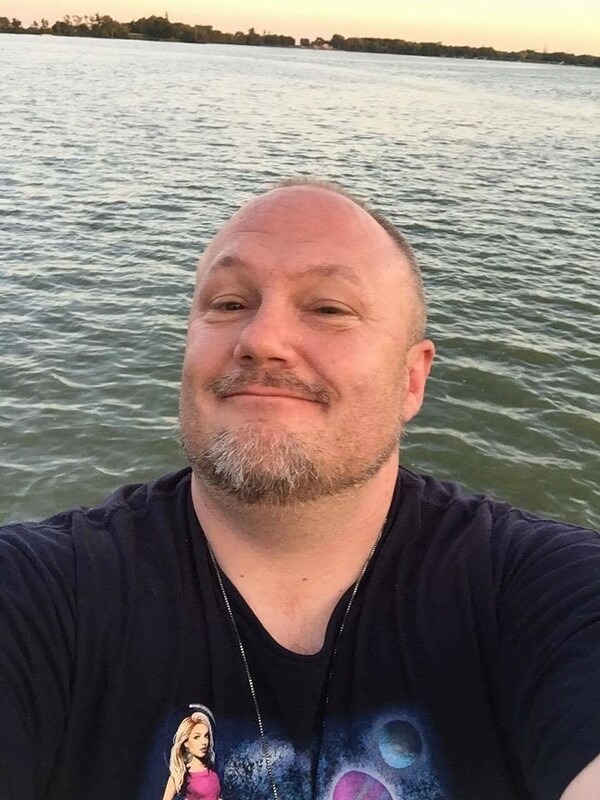 In the 8 days following, his extremely homophobic family raided our home without my permission, kicked me out of it and disinvited me from the funeral. Unable to grieve him, I turned to drugs as a "solution" to my pain. The intersection of grief and addiction was a dangerous place that eventually took me to the 26th floor of a Vegas casino, where I almost jumped out of a window. My mother - who I never told where I was and who has dementia I might add - somehow found me and called the police and I was hospitalized against my will. I have been sober since (now over 2 years), and my new life in sobriety is nothing short of a miracle. I think initially I wanted to write myself out of pain. In getting it all out of me, I found the power in everything that had happened. I wasn't really sure for a long time if this was just going to be this thing that I did for myself, or if I was going to release it, but I came to realize that there were others struggling with similar issues - especially grief - that perhaps I could help through my story. I feel like this is less about me and what I went through and more about me and what I got through. I want people to realize that no matter what they are facing, they can. It starts with loving yourself. I know that sounds really simplistic and maybe even cliche but so many of us - especially addicts and alcoholics - are not able to love ourselves. We think we are bad because of what we do or what we have done. But we are not - we are people with a disease who do recover and our addiction can become a beautiful blessing in our life if we do the work to make it so. The very things in life you are the most afraid of are the very things that bring the most growth. It's in facing those intimidating and unrelenting fears that we become who we are. The other side of fear is always a miracle. Magic isn't created when you are comfortable, it manifests when you are not. Well, life is kind of unfolding at the moment. I still want to turn Unpacked Sparkle into a screenplay. I also wrote a children's book, but I think for it to be successful, it needs a good illustrator, which I haven't found yet. My parents are not doing so well health-wise and we are at that point where some major decisions are going to have to be made, so something tells me that my next project will tackle that. A constant theme for me is taking things that seem hard or awful and making them beautiful. I don't let things break me; instead I look at the opportunity for them to make me. In college I started writing for the newspaper there and people really took to my work; but I think I knew I was really a writer when I was at my first newspaper job right out of college. That very first year, I won a couple of major awards from the state newspaper association. I felt like if I was already winning major awards with such limited experience, I was probably on to something. I actually do have a full-time job that is centered around writing but it is totally separate from my literary career. I've been employed as a writer my entire career - 20 years now. 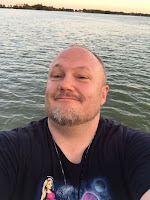 Finding the time to write is hard, especially since I have a full-time job and several commitments in the 12-step program that keeps me sober. I was kind of lucky that Unpacked Sparkle spilled out of me the way it did. It felt like I went through what I did because I was supposed to do this - like I was realizing my life purpose. That's pretty cool. I wrote the entire book in the "Notes" section of my iPhone. I only used a computer during the final editing process. I wanted to be a therapist actually. But when I got to college, I realized I was going to be in school for like 10 years and I wasn't very excited about that, so I picked writing because I figured I could still help people. I guess I just always wanted to help people really. I want people to know that no matter how bad it seems it's never worth giving up. I'm living proof that you can turn your life around after a rough time. There are people all around you that will help you if you ask for it. But more importantly YOU are capable of more strength and power than you ever thought possible. All you have to do is love yourself. Even if you think you can't - and I get it because I was there once too - you can. You are beautiful and you are worth it. Don't ever forget how much you sparkle. Thanks for being here today, Patrick.